NEW ROOF TO BE INSTALLED! 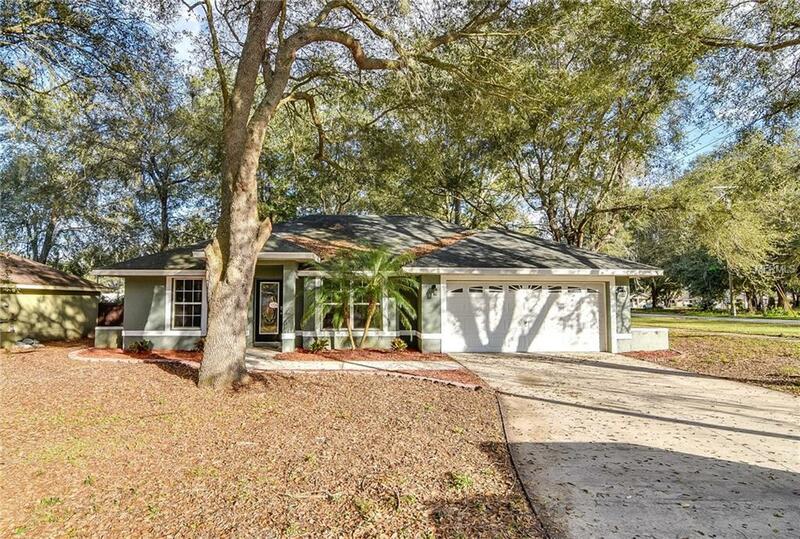 Beautiful 3 bedroom, 2 bathroom ranch style home located on shady corner lot with mature trees. Split floor plan boasts new carpet and neutral interior 2 tone paint. Great room off entry features vaulted ceilings, and plant shelves. Kitchen includes stainless steel appliances, pantry, and pass through window to great room. Master bedroom offers walk in closet and en-suite bathroom. Patio off rear sliding door overlooks private fence backyard. A must see! !